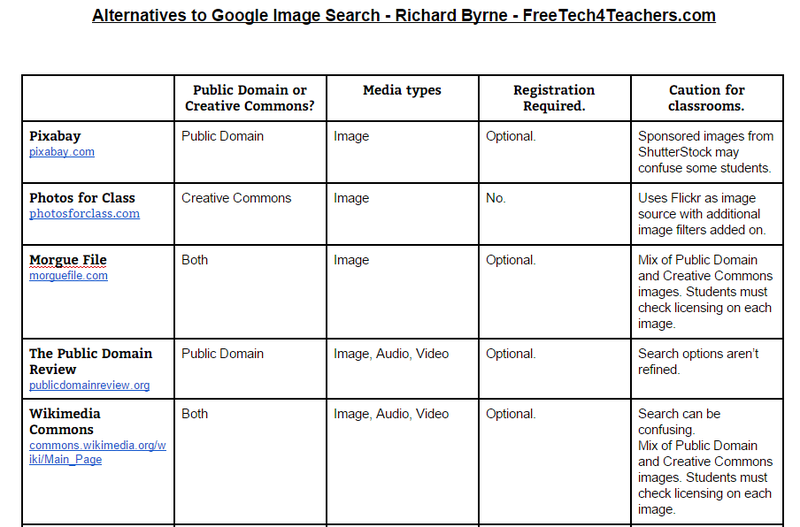 Richard Byrne of Free Tech for Teachers has updated his handy chart of reliable photo sources to use with students. Personally, I love pixabay, but it is fairly easy to find photos you might not want younger students to find and I find the sponsored ($$) images at the top of every searc tends to confuse people. Photos for Class from the folks at Storyboard That might be better with younger students. I had a chuckle searching for “naughty” words and getting pictures of “adorable puppies.” The filtering seems fairly smart though- ie: “breast cancer” actually brings back relevant results, rather than the adorable puppy page. Thanks, Polly! Super helpful post since I’m always looking for images for our communications.